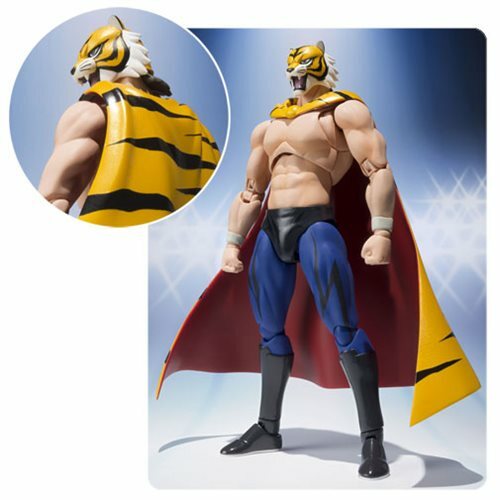 From Tiger Mask W comes the Tiger Mask W Tiger Mask Naoto Azuma SH Figuarts Action Figure! The figure utilizes the neo fighting body, designed from the ground up for portraying battling characters with realistic posability. Backdrops, kicks, piledrivers... You name it! The Tiger Mask W Tiger Mask Naoto Azuma SH Figuarts Action Figure comes with an optional pair of hands. Measures about 5 9/10-inches tall. Ages 15 and up.